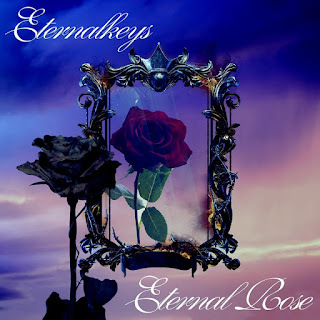 The EP "Eternal Rose" by Eternalkeys, an Instrumental project created by the Italian keyboardist and modern composer Mimmo D'Ippolito, is based on different concretive piano melodies and fragile, bright synthesizer strings, both ingredients that usually enforce melancholy and solitude but instead form a soothing, ever so slightly dream-like and misterious atmosphere. This creation of Mimmo D'Ippolito is of a melodious and mystic nature that captures the listener's imagination across a chilly bewilderment and an allegoric, ethereal winter ambience. cover art and graphic design by Emiliano Pietrini.